We love helping people move better. If you’re into taking good care of your body, then that should include taking good care of your skin. For cyclists, we can help. Our Men’s Cycling Pack will keep you saddle sore and chafe free, protect you from the sun’s damaging rays when you’re out on those long rides on hot sunny days, and prevent chapped and irritated skin from cycling in the wind and cold. You will save 10% when purchasing these products in this pack compared to buying them separately. We understand that triathletes like to focus on their training and performance, and not be distracted with skin issues such as chafing, sunburn, or chapped skin. We’ve got all bases covered for you with our Triathlon Pack. There’s our ever long lasting and wetsuit friendly Anti Friction Balm, Weather Protection Facial Cream to keep your skin fresh and hydrated in the wind and cold, and our famous ultra-sweat resistant Sports Sunscreen. You will save 10% when purchasing these products in this pack compared to buying them separately. 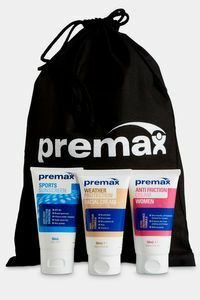 If you enjoy keeping active outdoors, then our Weather Protection Skincare Pack is your one-stop solution to keeping your skin in mint condition when exercising in the sun, wind, cold, and/or harsh conditions. 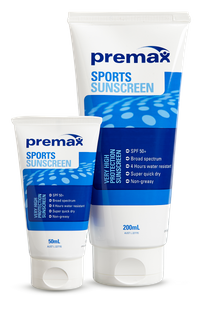 This pack includes our super-dry, sweat-resistant Sports Sunscreen, and also our Weather Protection Facial Cream which will keep your skin protected in the worst weather. You will save 10% when purchasing these products in this pack compared to buying them separately.